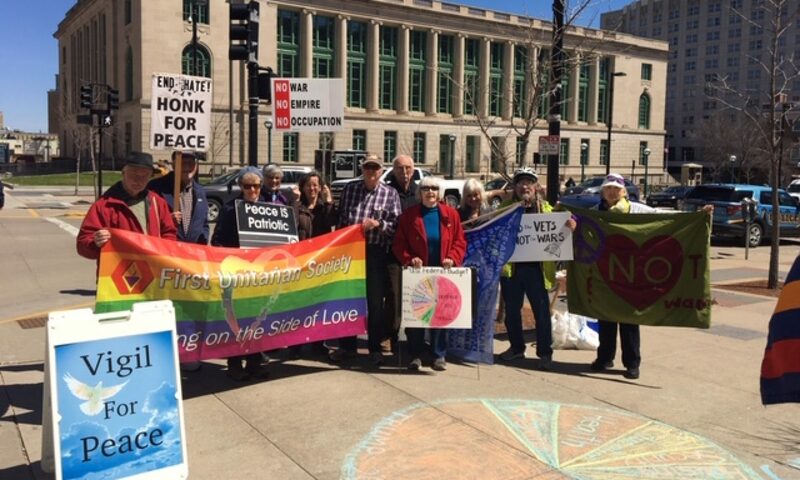 WILPF-Madison has participated in the Jane Addams Book Awards in a myriad of ways. 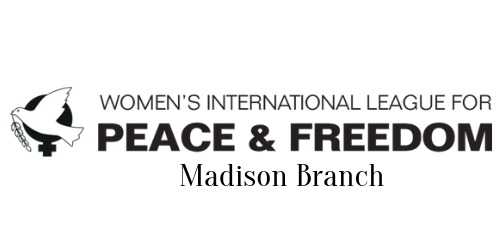 In addition to having a member(s) from our branch serve on the selection committee, WILPF-Madison donates a set of books to the Madison Public Libraries, and sponsors events to promote the books in the Madison area. Susan Freiss, longtime member of the Jane Addams Children’s Book Award Selection Committee, presented a slideshow about Jane Addams in upper elementary students classrooms. Her guiding question was, “What kind of books would Jane want children to read or have read to them?” Through the work of a network of passionate teachers and librarians in the Madison, Wisconsin area, over 20 classrooms of students were exposed to the Jane Addams Children’s Book Award process and contributed responses to contending titles. Six classes (2 in NYC and 4 in Wisconsin) communicated their responses via an online blog conversation. The students in these classes also culminated a literacy unit of study on social justice and Jane Addams with persuasive essays addressed to the selection committee supporting their suggestion for a winning title. And now, it is winter again, and the process is starting up once more with a provocative set of contenders! Look for award announcements in April 2018. Susan F. presented this interactive 75 minute workshop for 35 educators in Beloit, Wisconsin in April, introducing multiple avenues for responding in writing to Jane Addams Children’s Book Award books with the goal of building writers and empathetic citizens. Jenny Peterson and Susan presented a rendition of this workshop to teachers in DeForest in November. Two more workshops are scheduled for early winter 2018. 1. Caren and Dr. Monica Vohmann addressed sixteen 2nd year family medicine resident doctors on the medical implications and needed response to nuclear catastrophe, whether attack or accident. They shifted from key narratives in Sachiko that told the story of each of the body’s responses to nuclear exposure via each family member’s experience with medical details. 3.Caren gave a book talk under the umbrella of the Wisconsin Book Festival in the Madison Central Library the morning of the 10th. The event had been chosen as a pick of the week by the Capital Times. 45 were in attendance. Madison WILPF presented the public library with two sets of six books, the 2017 winning and honor Jane Addams Children’s Book Award title.